EratoTiaTuatha changed some attributes to Nyx and Libertus from Kingsglaive - tattoos included: Description changed. EratoTiaTuatha changed some attributes to Comrades and Avatara female hair mod shadow fix: Description changed. EratoTiaTuatha changed some attributes to Male hair mod AO fix: Description changed. EratoTiaTuatha changed some attributes to Nyx and Libertus from Kingsglaive - tattoos included: Summary changed. ; Description changed. EratoTiaTuatha changed some attributes to Nyx and Libertus from Kingsglaive - tattoos included: File 'Tattoo and AO BACKUP FILE' description changed. EratoTiaTuatha changed some attributes to Nyx and Libertus from Kingsglaive - tattoos included: File 'Tattoo only' changed to 'Tattoo icon only'. ; File 'Tattoo icon only' description changed. 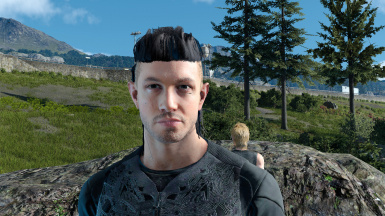 EratoTiaTuatha changed some attributes to Nyx and Libertus from Kingsglaive - tattoos included: File 'Nyx tattoos AND hair AO fix' description changed. EratoTiaTuatha changed some attributes to Nyx and Libertus from Kingsglaive - tattoos included: File 'Male Multi hair AO fix only' description changed. EratoTiaTuatha changed some attributes to Nyx and Libertus from Kingsglaive - tattoos included: File 'Face icons only' description changed. EratoTiaTuatha changed some attributes to Nyx and Libertus from Kingsglaive - tattoos included: File 'Face icons AND tattoo' changed to 'Face icons AND tattoo icon'. ; File 'Face icons AND tattoo icon' description changed. EratoTiaTuatha changed some attributes to Nyx and Libertus from Kingsglaive - tattoos included: File 'Nyx tattoos only' description changed. ; File 'Nyx tattoos only' category changed to Optional files.